Johns Lake is found roughly 6 miles east of Clermont Florida, roughly 1.4 miles west of the Florida Turnpike on Highway 50 and lays on the Orange County/ Lake County borders. 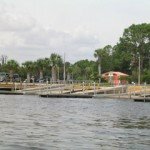 The ramp is capable of launching two boats at the same time with a long floating dock to tie boats up to and a small area you can beach your boat on. The Johns lake parking lot is well maintained, and with a combination of the parking lot and overflow parking directly across the street from the ramp can hold up to 30 vehicles. As viewed from the map, the two bigger sections of the lake are the main bodies of water of John’s Lake. To the far right, or the east side, is a smaller area known as Black Lake. On the far left, also the west, is a small body of water called Clear Lake. In the upper middle portion, the northern end of the lake, you will see a small horseshoe like area, that is called the Horseshoe. with ranging from rattle traps to worms. The main cut joining both bigger bodies of water is an idle zone that holds some really good schooling action, usually in the early portion of the day. As the afternoon approaches and temperatures warm, both water and air, Carolina rigged worms and lizards make for a great offering on both ends of the canal. John’s Lake offers a wide range of cover from thick grass beds, lily pads, reeds, hydrilla and submerged trees and branches. Fish can, and will be holding tight to cover. A lot of these areas have waters that run as deep as 12 feet, and deeper in some areas. Key is to have some good electronics and search the waters as you will find submerged grass beds out in the middle of the lake, these beds will hold some great bass. Many of our clients have been heard saying “these bass fight like they are smallmouth bass”. 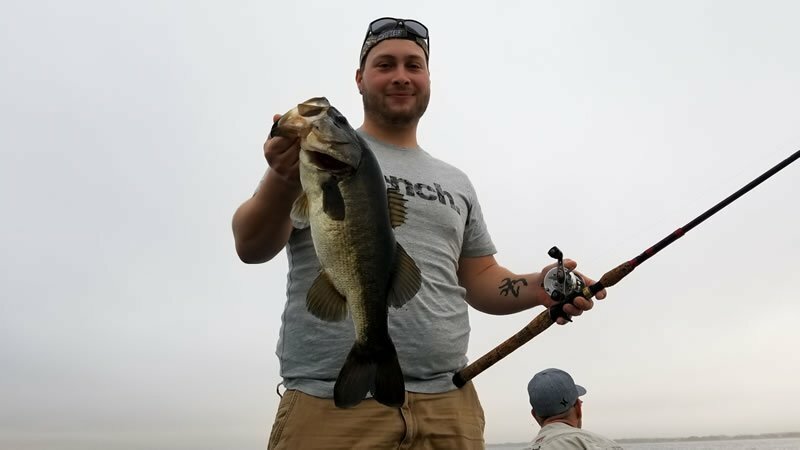 Johns Lake, as well as Clear Lake, offer plenty of docks for flipping and plenty of un-developed shorelines which hold some great bass fishing action. Both spring, and fall are great times for some serious top water action out here. Summer and winter months tend to produce better action with slower presentation type baits and even some good ole fashioned jiggin spoon action. One of the common mistakes people make is to try to stick to the “norm” on the lures they use. Breaking from the regular pattern of lures used can be very productive. Stepping out of the box so to speak, can yield some great catches. Now the big question always asked is “what do you mean by stepping out of the box”? Here we are talking about lures most people may have never heard of, or even considered trying. We have had great success using smaller swim baits that closely resemble some of the natural forage fish which are shad. Another is an all time favorite of many northern anglers, the #5 Mepps Minnow. Johns Lake is plain and simply, one great place to fish! 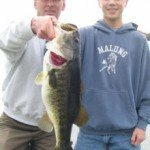 The lay of the entire lake system offers a wide range of angling possibilities, and even on days of high winds, offers plenty of places that are still fish-able, and out of the winds for those who do not like to battle mother nature. Trophy bass to 14 pounds are not uncommon here as well as speck, otherwise known as crappie. For more maps and fishing information on Johns Lake click here!